Today’s the day that Daredevil returns to Netflix for its second season and I like many, couldn’t be more excited. Not only do we get to binge watch another thirteen episodes starring the Man Without Fear, but we also get to see the Marvel Cinematic Universe debut for two characters: Elektra and The Punisher. Last year when Daredevil premiered on the streaming service, I took a look at Daredevil’s history in the video game space, but as a lot of people have been anticipating The Punisher finally arriving in the MCU after two disastrous and one so bad it’s amazing feature film in The Punisher: War Zone, I’m going to talk about the games starring The Punisher. I’m specifically going to address which ones are worth playing, and which ones, well, should be punished. It was difficult to determine whether or not to entertain picking up a game with the dreaded LJN rainbow on the cover; Even I avoided The Punisher until a few years ago, but this is a game that’s worth looking into if you’re a fan of the character or rail shooters. The Punisher is an on-rails shooter where you move a cross-hair around the screen and shoot bad guys on docks, in warehouses and alleyways. To keep things more interesting than just pointing and shooting, you can move The Punisher out-of-the-way of fire when not holding down the fire button which makes you think and play more strategically: Should I risk getting shot to knock out a few goons? Or should I holster fora moment and dodge? Levels are capped off with bosses including tanks and Marvel characters like Jigsaw as well as the Kingpin, who also appeared in Netflix’s first season of Daredevil. The boss battles are a nice change of pace from the normal levels as you hunt for weak points and engage in a Punch-Out inspired close quarters fight, though that portion of the game could have used a little more refinement. Often it’s hard to tell when you should be dodging or hitting and the collision detection could be a lot tighter. This only happens when you’re fighting human opponents though, and thankfully doesn’t come up much. The Punisher isn’t a perfect game and is quite difficult, but it is in a fair way. While I would’ve liked something more along the lines of Contra for the characters first 8-bit title, what we got is still very enjoyable. 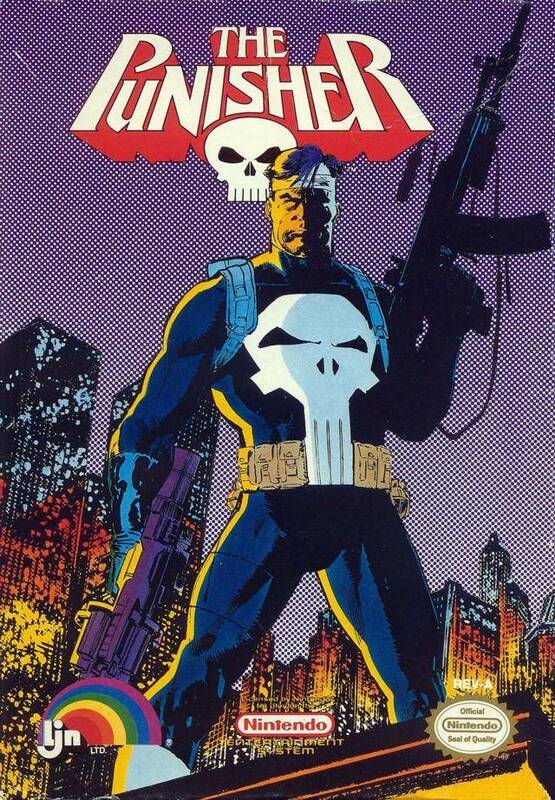 If you have an NES or Retron system hooked up, give The Punisher a look. The Punisher’s first and only handheld game also holds the distinction of being the only game that you can still play (The multiplayer and PS3 only Punisher: War Zone is no longer available to download) starring the character that you can absolutely skip. The Punisher: The Ultimate Payback! is a port of sorts of the NES game and hails from the same developer, but that’s where the comparisons really end. 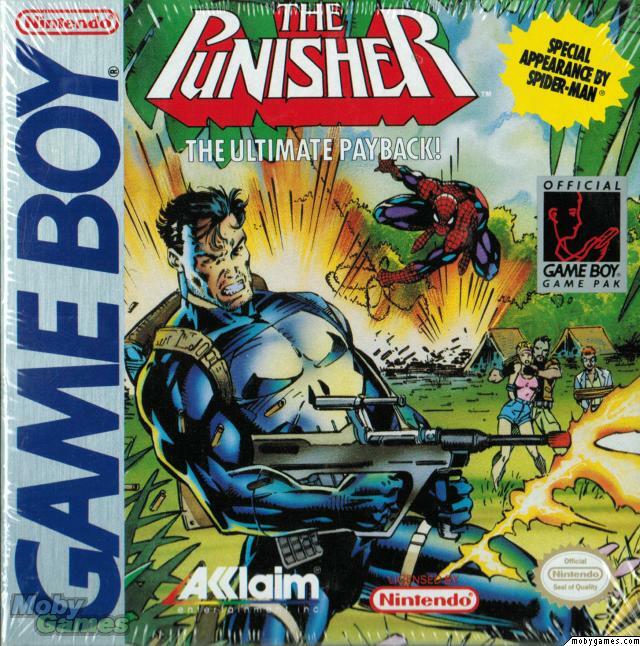 Given the small size of the Game Boy screen The Punisher is not seen on-screen and could really be replaced with any other character and the game would lose nothing. As you can’t see your character, the mechanic where you can play defensively is eliminated, making this a generic shooter that’s also unfairly difficult, even on easy. Bosses will eat your health and lives like they’re going out of style with seemingly no way to avoid taking excessive amounts of damage. Even if you feel you absolutely need a Punisher game on the go, avoid this one. 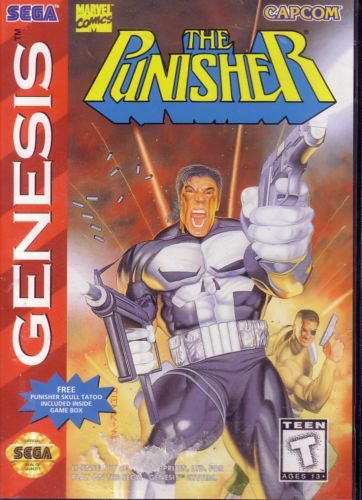 The Punisher on Sega Genesis is hands down the priciest to track down on this list, but well worth looking into if you have the money. As either the title character or S.H.I.E.L.D director Nick Fury, you take to the streets and pound some justice into waves of criminals until you confront The Kingpin himself. The 16-bit days were the golden age of the beat-em-up, and companies like Capcom, who published this port, made some of the best of them. Though not true to the character as you only use guns as a temporary power-up and mainly let your fists do the talking, this is nonetheless a very satisfying and challenging beat-em-up that’s great to play with a friend. 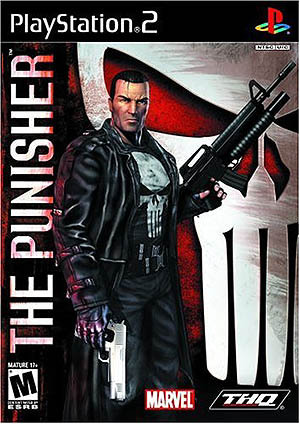 Last but certainly not least is the best game to ever star The Punisher and if you’re wanting to play a game featuring the character after you’re done with Season Two of Daredevil, this is the one to get.THQ’s underrated game from developer Volition of Saints Row fame could easily go by the title Punisher Simulator 2005 as that’s exactly what this game is. With a story written by Garth Ennis and starring the voice of the second live-action Punisher, Thomas Jane, Volition’s game gives you everything you could ask for and more. Hard “M” rating? Check. Buckets of blood and violence? Check. Plenty of guns to collect and shoot? Check, check, check. Though extremely violent, the violence is presented in a way that’s very much darkly humourous, which is most evident in the games interrogation scenes. In these sections you get to take a break from the tight gun play action and extract knowledge from some poor helpless thug the only way Frank Castle knows how. Sometimes you’ll have someone’s head in a vice or LITERALLY drilling them for knowledge, but no matter what, you’ll be equally mortified and in fits of laughter. Video games did it first, Netflix. 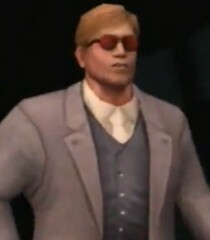 Another famous Daredevil villain, Bullseye, also makes an appearance as a boss, along with Iron Man, Black Widow, and the Punisher’s Sega Genesis partner in crime, Nick Fury. Of all the games on this list, not only is this one the easiest to recommend, but it’s also the simplest and probably most inexpensive to play. Neither the PS2 or Xbox version is that expensive, and the Xbox SKU is fully backwards compatible on the Xbox 360. Punisher for the PS2 is easily in the top 20 action games on that system for me. I played BEFORE playing Rockstar’s Max Payne and I ended up loathing it by the end of it. Why?! Because I couldn’t pull out combat knives and just annihilate those annoying thugs scurrying around nearby. There was sooo much homage to Punisher fans in this game, I still love it to this day! I’ve actually never played any of the Max Payne games and now I strongly feel I mad the right choice in not doing so. They not bad, they’re OK IMO. I’d play Max Payne 3, your not really missing much in story that you can’t just look up on wikipedia before playing MP3. I usually don’t say that, but the gunplay is just too dated to stomach the first two entries. Besides 3 gives you some flashbacks here and there, to give you an idea on his backstory.